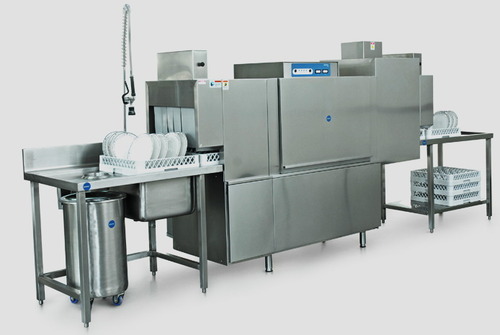 Pioneers in the industry, we offer dish washer from India. Conveyor Type Dish Washer offeredcomes designed using latest technology support and finds use in areas like restaurant, hotel, factory, school and others. Further, these come with digital control panel and provide for energy-saving performance. Some of its features include conveyor for conveying dishes by belts; provide for through washing support; wash temperature of 60 to 85¿¿¿; can be provided with optional support accessories as demanded by the customers.